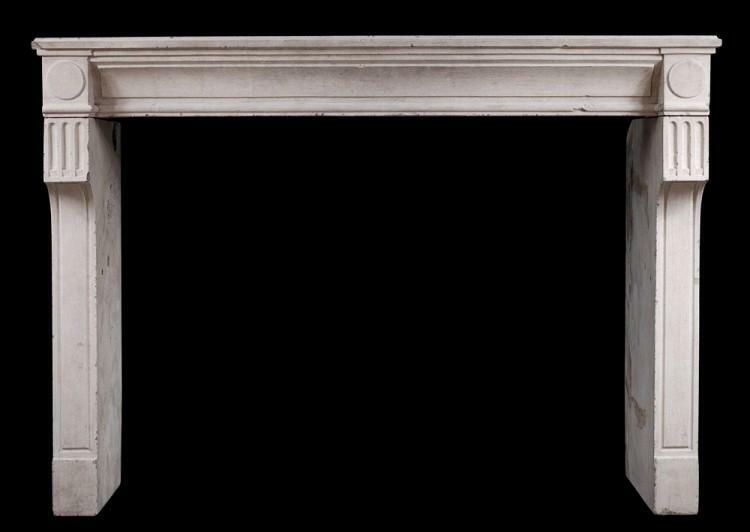 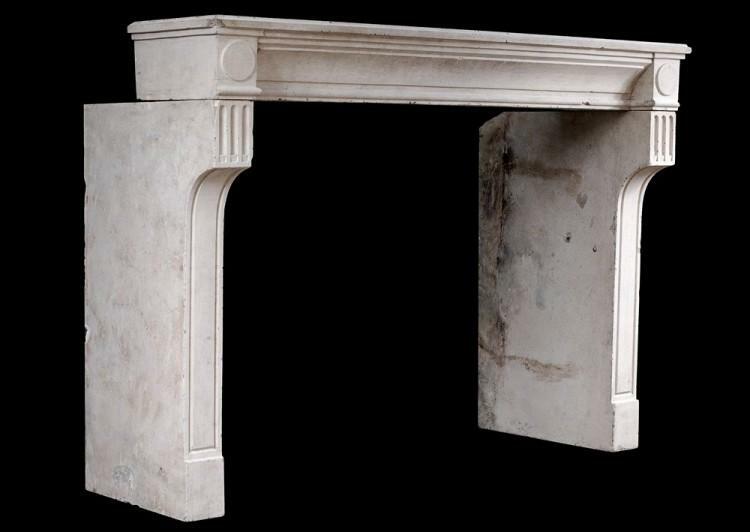 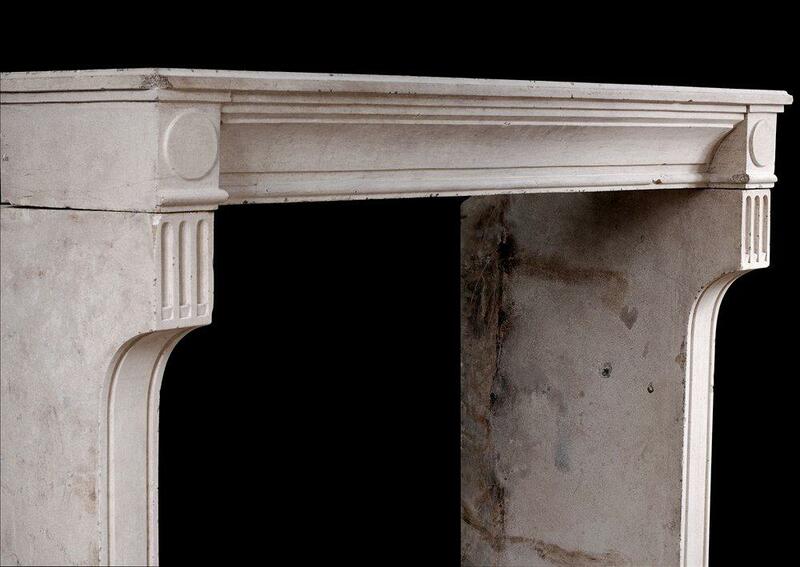 A rustic 18th century French Louis XVI limestone fireplace. 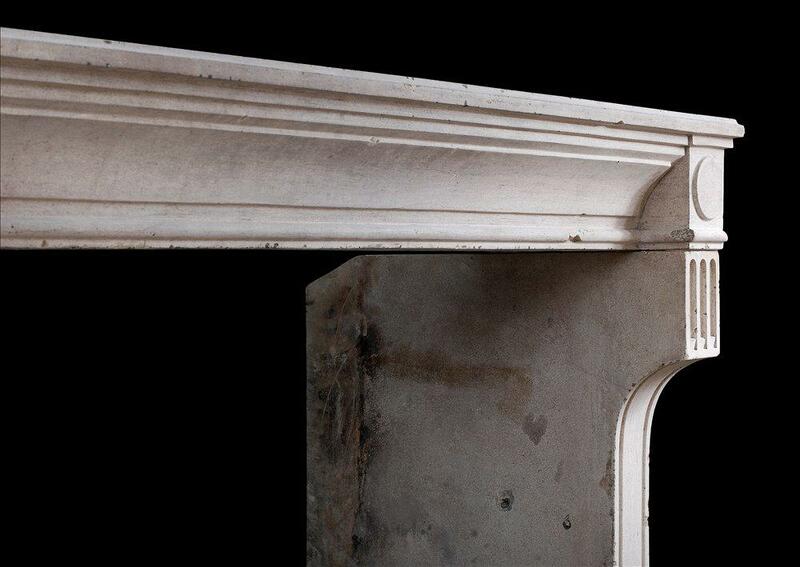 The concave panelled frieze flanked by round end blockings, the deep, shaped panelled jambs with flutes above. 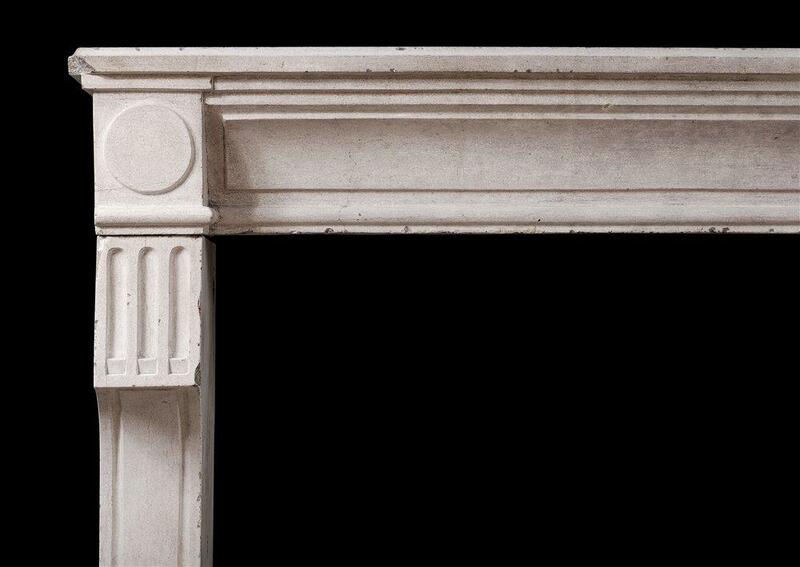 Jambs intentionally left deep but could be reduced if required.